Men who want to fashion a cool casual look during the hot summer season will surely opt for a good seersucker jacket as their best investment for the season. We can say that getting good clothing is one of the important investments a person can do for his life. A seersucker jacket can be call as a casual mans's breezy picks for the sultry summer that is ready to burn out anything that comes on its way. We call it breezy because of its unbelievable capacity to allow free air flow in between the material and the person's skin. We can say that they are good at absorbing sweat and thus reduce irritation and over sweating. 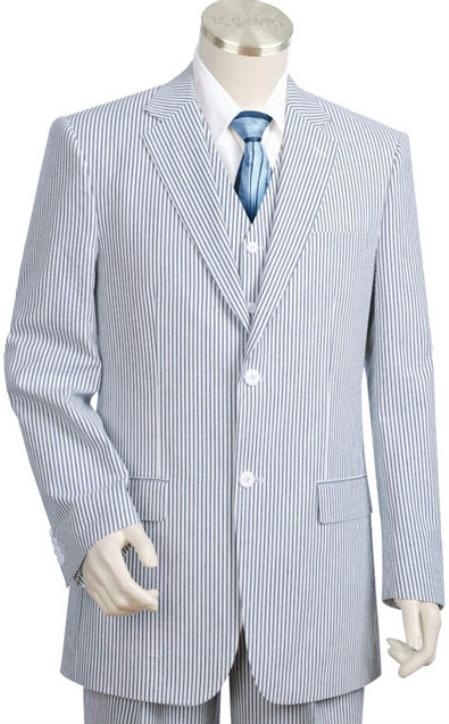 This full cotton fabric is breathable and the special wavy texture will ensure adequate airflow through the jacket. The ultimate result is a jacket that can fight the effects of scorching sun. Apart from so many advantages of wearing it in summer, we can call it as the latest fashion fever for the season. This fabric was first worn by army nurses who worked during the Second World War. And later it was the famous and the most desired fabrics of the poor for its low cost. Whereas in today's situation, we are able to find many famous brands selling these seersucker made clothing ranges at sky high price that has in fact shocked many people who had bought this fabric for a low cost during the early stage. A seersucker jacket is now the best friend of a young man who wants to fashion a chick summer look. Pairing up this jacket with any kind of casual pants or jeans with a good choice of shirt or t shirt can make it an instant hit. 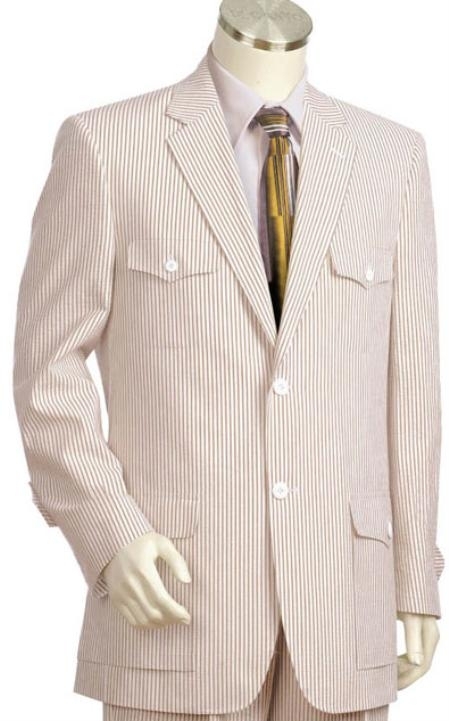 We need to say that the fabric has a special look that can sooth anyone's eye during summer and now you are lucky enough to get many summer cool colors to compliment the jacket of your choice.